It’s officially the busiest time of the year! In between your holiday shopping and parties, make sure you stop and take time to savor the season! There’s so much fun to be had in Birmingham this month – enjoy! Watch your favorite Christmas movie on the big screen at the Alabama Theatre! 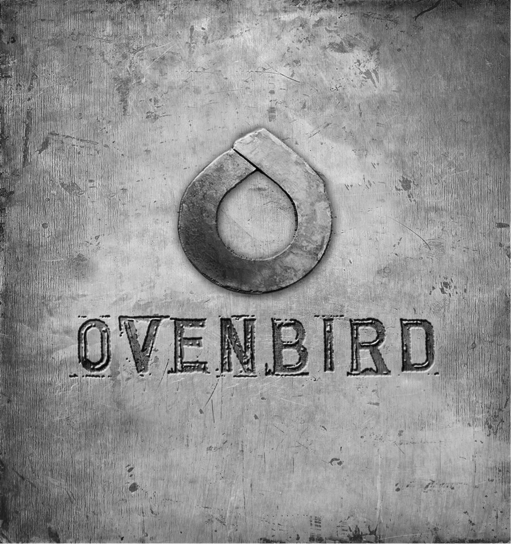 You can check their online calendar to find out what’s playing the night. 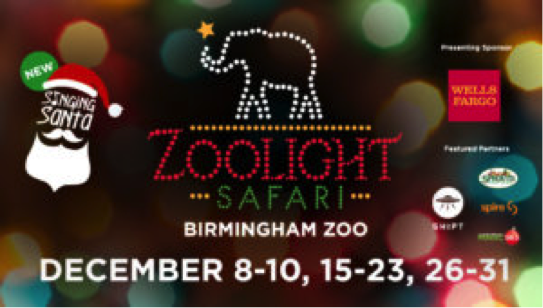 The Birmingham zoo will come alive for 18 nights of holiday-centric fun. See over one millions lights, listen to holiday music, and enjoy snowfalls every night. Come out and see your favorite holiday floats and meet Santa! 3:00pm in Mountain Brook Village. Don’t miss a holiday open house and scavenger hunt in Cahaba Village from 5-8pm. The lighting of the historic Homewood star at the top of 18th street will take place from 6:30-7pm followed by a parade and the lighting of the Christmas tree at City hall. Pepper Place’s annual holiday party is back with lots of fun. Numerous restaurants will be serving a specialty cocktail, shops will have discounts, numerous guest retailers will be setting up for the night and 29th street will be lined with fire pits for s’more roasting. Santa will be wandering around the village from 4-7pm and make sure to stay afterwards to hear your favorite neighborhood librarians and shop owners preform a live reading of A Christmas Carol. Shop your favorite Homewood retailers after dark. Tour 5 beautiful homes decorated for the holidays! Don’t forget to stop by and shop at the holiday gift market to enjoy seasonal fare and the Samford President’s Home. Map of the tour route is available on their website. Last chance to shop the Pepper Place farmer’s market before they close for the season! Support the Arthritis Foundation with a festive fun run. Complete a 5k wearing your favorite holiday themed costume or ugly Christmas sweater. Don’t forget to tie jingle bells to your shoes! Enjoy the city’s official parade followed by the Liberty Park Christmas Celebrations with children’s activities, refreshments, music, pictures with Santa and more. 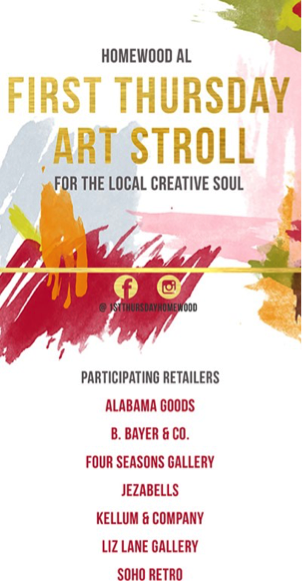 Head over to Avondale for this indoor shopping event featuring local artists! Embrace your inner tacky and hop aboard the bus for a 2-hour holiday light tour around Birmingham including food provided by Dreamland BBQ! Buses depart every 20 minutes. Join artist Natalie Zoghby at Cahaba Brewing on December 12th from 2:00-3:30 for her abstract painting class. Follow along as Natalie creates a beautiful piece of art or create something of your own design! 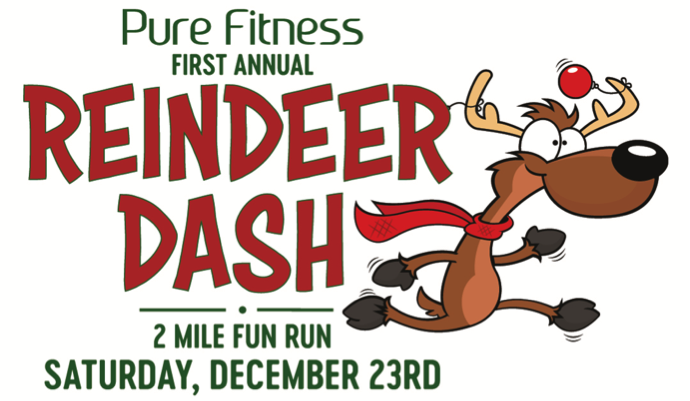 Dress up in your favorite Christmas character costume and run a two mile family and friends fun run. Then enjoy cookies, hot chocolate, awards and door prizes afterwards. Funds will go to support On River Time non-profit. Head to historic Legion Field for a day of football! The 12th annual Birmingham Bowl will take place at 11am between the Texas Tech Red Raiders and the South Florida Bulls. If you’re looking for a way to spend New Year’s Eve, celebrate Alabama Theatre’s 90th birthday bas with Sister Hazel and Taylor Hicks. The debut of the new 18th street Alabama sign will light up at midnight. Enjoy a four course menu with complimentary champagne for $65. Call (205) 957-6686 to make your reservations! Posted on December 6, 2017 by Hannah Benak.